Highest quality ingredients formulated by leading experts in the camelids field. Stillwater is owned by Bob and Jo Riley who have been active in the llama and alpaca community since 1989. 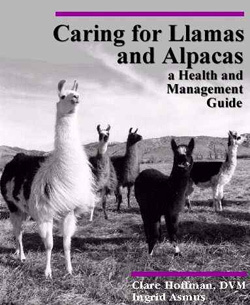 As llama owners they always strive to provide the very best for their animals and yours. Stillwater is the oldest provider of "Free Choice" minerals dating back to 1989. Working with Dr. LaRue Johnson, DVM at Colorado State University the original formula, Lama-Min 101, was developed. With input from Animal Nutritionists and research conducted by other major institutions, the formula has been modified to meet the specific needs of llama and alpaca industry resulting in the 102 and 104 formulas. We are continually looking for ways to improve our products, but we never make a change without confirmation that it is safe and effective by Animal Nutritionists and testing at research facilities. Stillwater has supported nutritional research.